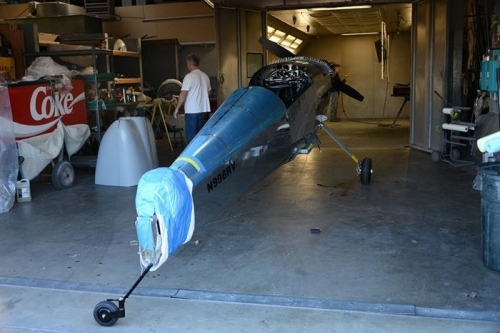 Tuesday, I was finally able to bring the RV-8 2.0 fuselage home from the paint shop! Brian and the guys at B&D Autobody did an outstanding job on the interior paint. It is a black with a texture and it was quite a challage to get to match the powdercoated pieces. But I am very happy to report that the paint looks fantastic! I can hardly wait to start on the on final reassembly! 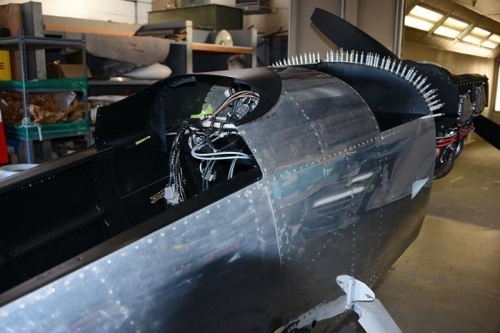 So in a nutshell, all that is left is the reassembly of the insides and instrument panel, a new cowling - yes, I'm going to do it AGAIN, the fabrication-in-place of the fiberglass windschield bezel, and then take it to the hangar for installation of the wings and tail! Seems like it should go so quickly! I am now shooting for a May 3 2015 test flight which would be exactly 5 years to the day from the original test flight!